If you have been following along all week here at TDG, you have read almost a dozen articles about players that we believe can be quality last minute additions to your roster before free agency ends. 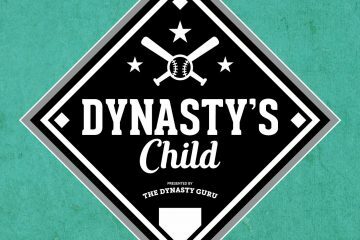 If you listened to our advice, you could have very easily turned over your entire roster by now, considering we have covered ever position in baseball. As Noel pointed out in his NL Starting Pitchers post, he and I decided to cover four specific categories when looking for a pitcher to stash. Those categories are 1) Returning from Injury 2) Change of Scenery 3) Sleeper and 4) Prospect. Beachy underwent Tommy John surgery in June of 2012 and recently had arthroscopic surgery to clean out areas of discomfort that were hindering his recovery. The Braves fully plan on Beachy being ready for spring training and if he is, he will easily win back his rotation spot. Prior to his injury, Beachy had 237.2 IP with 252 strikeouts, a 1.14 WHIP and a 3.39 FIP. He might start out a bit slow in 2014, but the fact that he is owned in less than 12% of ESPN leagues is a perfect opportunity to stash a high reward pitcher in Beachy. Kennedy was traded from Arizona to San Diego at the trade deadline this year and is in a prime position to benefit from a change of scenery. Checking out his home splits in Arizona vs San Diego you can see why I’m on board with Kennedy in 2014. in 48.2 IP at Chase FIeld he had: 3.62 FIP, 7.03 K/9, 1.58 WHIP, .296 AVG against and a .811 OPS against. In 35.1 IP at Petco he had: 3.28 FIP, 10.69 K/9, 1.30 WHIP, .226 AVG against and a .647 OPS against. Now yes, it’s a small sample size, but Chase Field has a +112 park factor and Petco has a -82 park factor. They are on complete opposite ends of the spectrum. That kind of change will be quite noticeable in his ratio stats. I’m very confident that we will be seeing Kennedy’s name near the top 20 starting pitchers next season and he is owned in less than 33% of ESPN leagues. I’ve been a fan of Wily Peralta’s for awhile now, and I think that follow his underwhelming 2013 is the perfect time to stash him on your roster. He is currently owned in 3.3% of ESPN leagues. Why should you stash him? What can he offer your team next season? It’s actually quite simple. In 339.2 IP across AA and AAA he racked up 329 K (8.7 K/9) and a 3.72 FIP. In the 212.1 IP in the majors he has produced only 152 K (6.4 K/9) and a 4.21 FIP. I firmly believe that he will regress back towards his mean and that would result in an improved stat line next season. He is still only 24 years old so it’s not like his velocity is diminishing at a fast rate or his body is breaking down from wear and tear. I can see him being a quality fantasy #3 starting pitcher next year and progressing more towards a top 40 down the road. With Adam Wainwright, Lance Lynn and Shelby Miller all but locked in to the rotation, there will be quite the battle for those last two spots this spring, assuming that the Cards don’t pick up the option on Westbrook this winter. Wacha’s name is trending around baseball right now because of his near no-hitter the other night. I am not suggesting adding him just because of that gem. Wacha had 15 starts in AAA this season before being called up, and those numbers were quite impressive. In 85 IP he totaled 73 K (7.7 K/9), a 3.53 FIP and a .988 WHIP. Yes you read that right, a .988 WHIP. He started off in the bullpen when promoted, as the Cardinals like to do with their pitching prospects, but once he was moved to the rotation, he was fantastic. In 54 IP as a starter he had 46 K (7.7 K/9), a 3.40 FIP and a 1.13 WHIP. He also allowed a mere .222 batting average against and a .614 OPS against. Now if we look at these two small samples as one larger stat line, as a starting pitcher in 2013. We get 139 IP 119 K (7.7 K/9), a 3.48 FIP and 1.04 WHIP. The fact that he is owned in only 22% of ESPN leagues is ridiculous. If he’s not owned in your league, whether it be on the mlb roster or a minor’s roster, I would go add him right now. Good post, but all 4 of these guys are long gone in any fairly deep dynasty league.